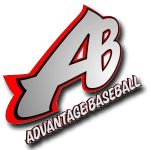 Advantage Baseball Fan Gear Available Now! Download this form to sign up for events at Advantage Baseball. We would like to thank you for being part of the Advantage Baseball family. Please understand that when we put you down for a rental or a lesson, we are reserving time for a coach, or a cage, and your player. If you are unable make your lesson or rental, we ask that you cancel at least 24 hours in advance, otherwise service are to be paid in full.